Perfect for an investor or a first time homebuyer, this sturdy concrete block home in the Jacks neighborhood of Gainesville is central to all that Gainesville has to offer. Nature is right in your backyard, as Morningside Nature Center is less than a mile away. This 2 bedroom 1 bathroom home with a generously sized front room and bonus room was built in 1955. This concrete block home sits on a .24 acre lot. The fenced backyard provides plenty of running around room. Zoned for Lake Forest Elementary School, Howard Bishop Middle School, and Eastside High School, this cozy Jacks home is on the bus line and is just 5 miles to Shands and the University of Florida. Prospective residents should contact the Alachua County School District Zoning Office at 352-955-7700 to verify school zoning information. 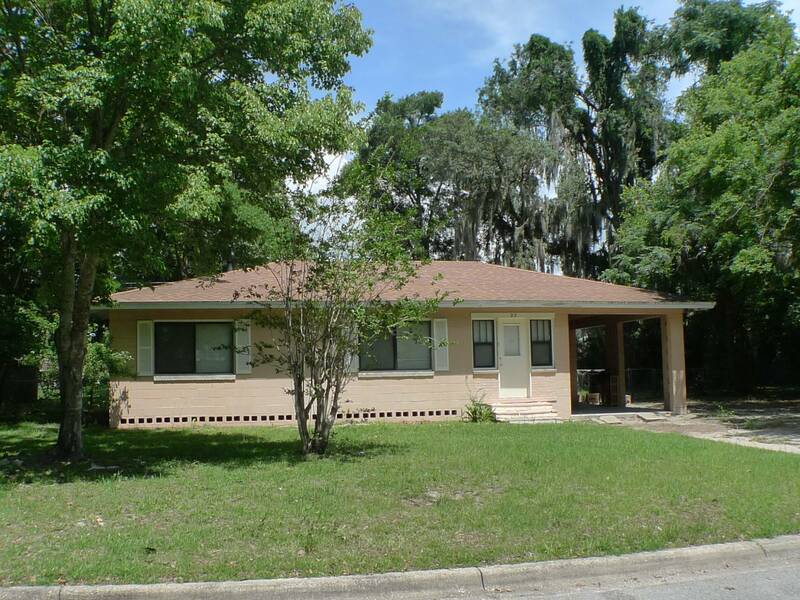 More details about 23 NE 45th Street in Gainesville FL can be found by clicking on the link.